The Humane Society Veterinary Medical Association (HSVMA) has selected three outstanding veterinary professionals as recipients of the 'Best Friend to Feral Cats' award for their significant contributions in helping feral cats in their community. Award recipients are Dr. Sara White of Vermont, in the nonprofit category; Dr. Laura Gay Senk of New York, in the private practitioner category; and licensed veterinary technician Mike Phillips, of New York, in the veterinary technician category. Dr. Sara White, winner in the nonprofit category. The three recipients were selected from a nationwide pool of more than 100 nominees for the inaugural HSVMA award. 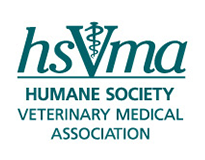 The judging panel included HSVMA Leadership Council members Dr. Richard Bachman and Dr. Madeline Graham, HSVMA veterinary consultant Dr. Susan Krebsbach, and registered veterinary technician Nancy Peterson, Cat Programs manager with The Humane Society of the United States. "It's exciting that so many veterinary professionals are dedicating their time and resources to helping feral cats in need," said Dr. Bachman, who specializes in shelter medicine and is continually exposed to the feral cat overpopulation problem impacting California shelters. "It was difficult to select winners from among so many dedicated individuals, but these three veterinary professionals have truly gone above and beyond the call of duty in addressing the feral cat overpopulation problem, as well as working to improve the quality of life for feral cats in their community." Dr. Laura Gay Senk, winner in the private practitioner category. There are an estimated 50 million feral cats in the United States living in groups known as colonies. Dedicated individuals and organizations practice a non-lethal strategy known as Trap-Neuter-Return (TNR) to reduce their numbers and improve the health and safety of cats and communities. With TNR, cats no longer reproduce, and nuisance behaviors are reduced or eliminated. Without TNR, the majority of feral kittens do not survive to adulthood, and almost 100 percent of the feral cats brought to shelters are euthanized because they cannot be adopted as pets. The plight of feral cats still lacks the attention of many veterinary professionals, perhaps because they are unaware of the extent of the problem or because they do not view these "unowned" animals as patients in the traditional sense. The involvement of more veterinary professionals would substantially reduce the number of feral cats and improve their quality of life. 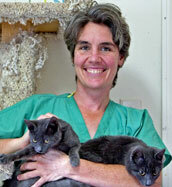 Dr. Sara White is one veterinarian making a difference in her community. She started Spay ASAP, a nonprofit mobile spay/neuter clinic in 2006. Since that time, she has spayed and neutered more than 13,500 cats in Vermont and New Hampshire, many of whom are feral. Dr. White also obtained grant funding for a Vermont Humane Federation feral cat program that will provide free spay and neuter for 2,000 feral cats during the next two years, and coordinates administration of this program at several clinic locations throughout the state. Additionally, Dr. White, a board member with the Association of Shelter Veterinarians, promotes pediatric spay and neuter and trains other veterinarians in this surgical protocol to help address both feral and tame cat overpopulation. 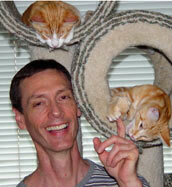 Mike Phillips, LVT, winner in the veterinary technician category. 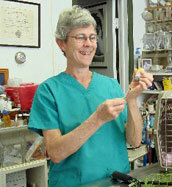 Dr. Laura Gay Senk has been helping feral cats on Long Island, New York, for approximately 20 years. A former equine veterinarian, Dr. Senk switched her focus to felines in 1990, becoming one of the first veterinarians in the area to operate a clinic that advertised, "Ferals Welcomed." Today, she runs a clinic in Farmingdale, New York, which offers low-cost spay and neuter and medical care to feral and other rescue cats. Dr. Senk has volunteered for monthly feral cat clinics and mass TNR events on Long Island over the years, literally spaying and neutering thousands of feral cats, and has also been an effective advocate for feral cats. She created the Long Island Cat Project, which provides resources and assistance to feral cat caretakers and veterinarians working with feral cats. She also has worked with several municipalities on Long Island to implement TNR programs, which have proven to be the most effective and humane way to manage feral cat populations. Mike Phillips is a licensed veterinary technician and founder and president of the Urban Cat League, a feral cat organization based in the notorious Hell's Kitchen neighborhood of New York City. He volunteers his time coordinating TNR of feral cats in this area, as well as assisting as spay and neuter clinics for feral cats in New York and New Jersey. Additionally, Mr. Phillips is considered an expert in socializing feral kittens and instructs workshops on this subject in several states. He also offers advice on socializing feral kittens and trapping through his blog at socialferals.blogspot.com. His assistance for feral cats even extends outside of the United States—while on a work assignment in Israel, he completed a TNR project of 29 cats and raised the funds for Spay Israel to start the first low-cost spay neuter clinic in Jerusalem. Winners of the HSVMA Best Friend to Feral Cats award will receive a gift certificate and plaque acknowledging their significant contribution. As a sign of appreciation for their efforts and dedication to feral cats, all nominees will receive a complimentary one-year membership in the HSVMA. Nominators of the winning entries will also receive a gift certificate to The HSUS's online store, Humane Domain, which features a variety of pet products and gifts for pet lovers. The HSVMA thanks all veterinary professionals helping feral cats and encourages their colleagues to assist in this important life-saving work.